Sweden’s Länsförsäkringar Bank has become the first bank in the country to take TCS Financial Services’ Bancs core banking system. Meanwhile, Temenos and SAP are also busy with core renovation projects in the region (see below for more details). TCS will provide system integration and support services to Länsförsäkringar, the fifth largest retail bank in Sweden. Rikard Josefson, CEO, Länsförsäkringar Bank, says TCS has a “strong track record” and the Bancs system is “very well capable of supporting our ambition of being a digital market leader”. He adds that TCS’s “long term commitment” to Länsförsäkringar Bank and to the Nordic market was an “important factor behind our decision to partner with them”. TCS has been present in the Nordic region since 1991. It has around 9,000 people working in Sweden, Finland, Norway, Denmark, Iceland, and across TCS’s Global Network Delivery Model (GNDM), which services Nordic companies. It has had, however, no core banking software takers until now. Last year, Euroclear Finland, the central securities depository (CSD) for the Finnish capital markets, launched a new transaction processing platform, Infinity. This is powered by TCS Bancs’ Market Infrastructure platform. The project at Euroclear is ongoing – the central register as well as equity processing capabilities will be introduced before the end of 2016. TCS’s rivals in the core banking space are also eyeing the Nordics. Temenos has recently joined forces with the region’s largest IT group, Tieto, to push its flagship T24 core system in the Nordics and Baltics. 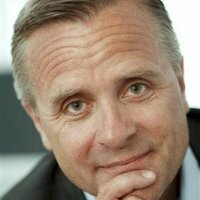 Tieto will offer a preconfigured, “out of the box” version of T24, known as Model Bank. According to Steen Jensen, head of Northern Europe at Temenos, the vendor has seen “enormous momentum” in the Nordic market. Indeed, last year it secured the largest core banking software deal in post-crisis Europe, with Sweden’s Nordea Bank. The bank is prepared to invest €1 billion in its “root and branch” banking and payments software overhaul. T24 will replace a host of homegrown and third party products, including Misys’ Midas and Tieto’s Core Banking Suite. Accenture was picked as the integration partner. Temenos is also implementing its T24 solution at Finland’s Aktia Bank. The project has been a couple of years in the making and is running late and over budget. Meanwhile, another software provider, SAP, is also keen: it has a partnership with CGI to bring to market a Software-as-a-Service (SaaS) core banking offering for the mid-tier Swedish market. The platform is underpinned by SAP’s SAP for Banking system. The hope is to build on the back of a first live customer for SAP for Banking in Sweden, Landshypotek Bank, which went live in 2013. This tie-up is yet to produce results, but last year SAP managed to gain a new core banking deal in Sweden with another partner, Applicon. This is at a start-up subsidiary of Libya’s Aman Bank. The bank is not open for business yet. The project is ongoing – the Islamic version of SAP’s core system will be delivered onsite.